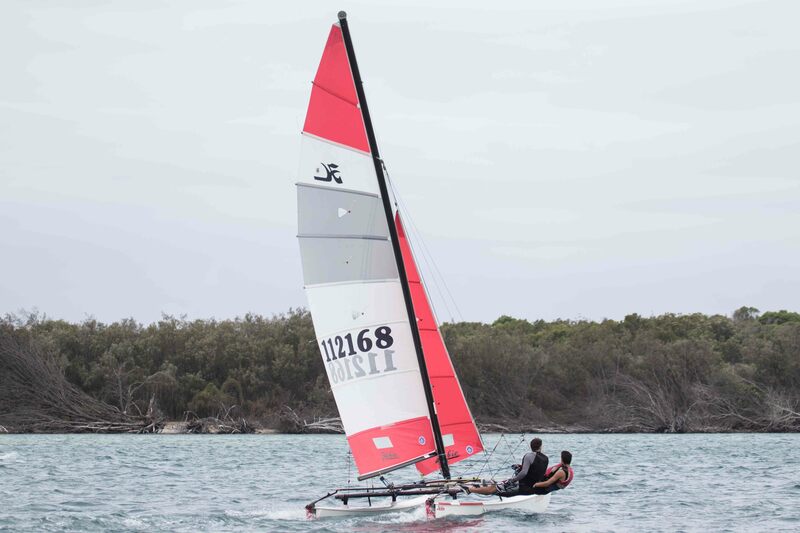 The inaugural Sail Paradise series – Gold Coast could not have ended on a higher note, with high praise for the event flowing freely, and the $5000 prize draw going to the most worthy of recipients. 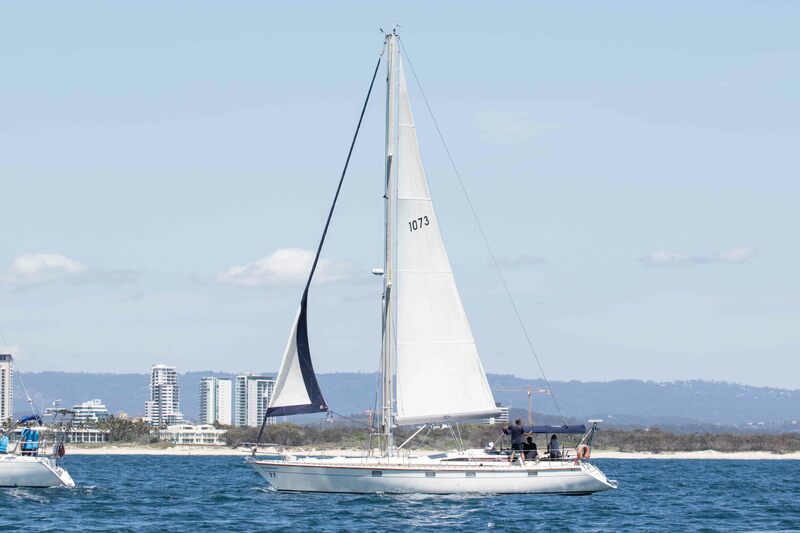 The outright winner of IRC Division 1 was one of Australia’s offshore sailing legends, Bob ‘Sir Robbo’ Robinson, with his Brisbane – based Farr 40, Crackling Rosie. With four wins, a second and third in six races, Robinson claimed victory over Matt Percy’s Gold Coast Entry, Alacrity, by four points. Peter Harburg’s magnificent canting-keel 66-footer, Black Jack was third. Black Jack also claimed the ‘Gun Boat’ trophy in emphatic fashion, her crew sailing a near-flawless series. Robinson’s win had a tinge of déjà-vu to it. Some 20 years ago he won Southport yacht Club’s inaugural XXXX series sailing another 40ft Farr design, Queensland Maid. Sail Paradise, which had Yalumba as naming rights sponsor. 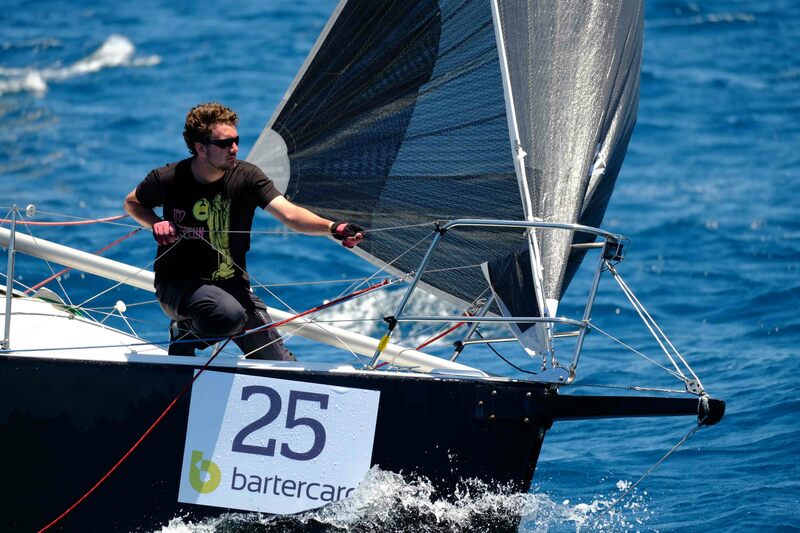 The courses and sailing conditions were perfect: the wind ranged from 8 to 20 knots over the four days. And every day there was an abundance of sea life adding to the scene – dolphins, turtles, large schools of fish and flying fish. If there was a complaint it was that there was almost too much sun! “This can become the biggest regatta in Australia” said Peter Harburg when he stepped ashore form Black Jack at Southport Yacht Club. “We are out there sailing on a beautiful, clear blue ocean while looking at majestic beaches and stunning scenery through to the hinterland. It’s paradise.” Harburg’s sailing master, well-known America’s Cup Yachtsman and sail maker, Mark ‘squark’ Bradford, endorsed his owner’s sentiments: “Sail Paradise has all the attributes needed to make a truly great regatta. 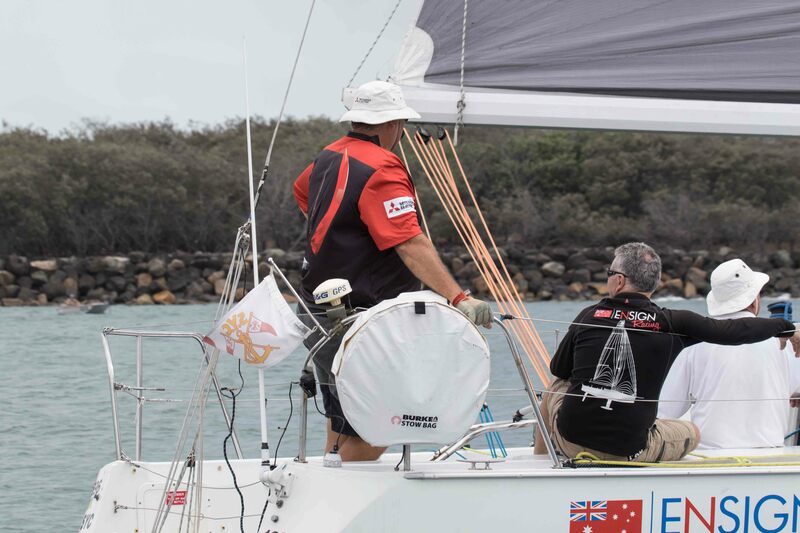 Prior to the final race – a 20-miler between Burleigh Heads and Main Beach – Harburg took time out to take Australia’s international motor racing legend, Sir Jack Brabham, for a sail aboard Black Jack, which is named in his honour. The Sail Paradise trophy presentation could not have had a more fitting finale when local parliamentarian and leader for the opposition in Queensland, John Paul Langbroek, announced the winner of the $5000 lucky draw for competing yachts was Ocean Mentor, the Sydney 32 class yacht that had been given to the Club by philanthropist Peter Teakle for the youth training program. The money will be used to further enhance the program. 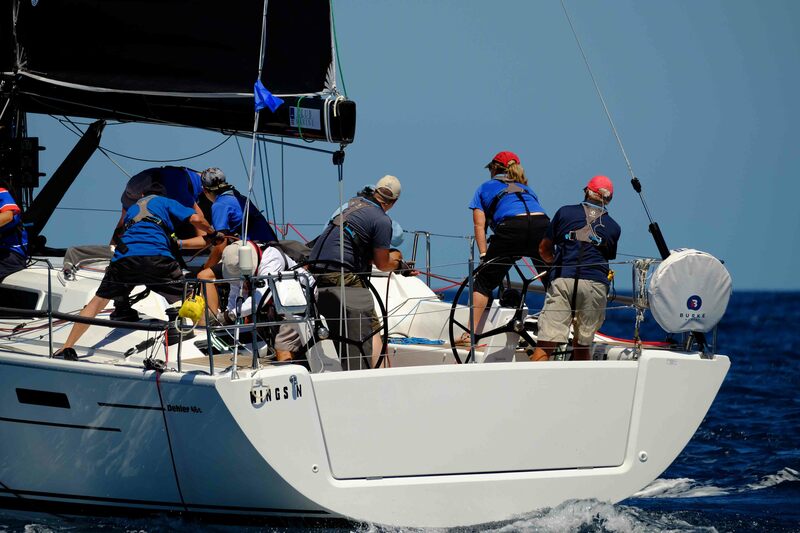 Other division winners at Sail Paradise were: Cursing – Farrst 1 (Tony Horkings); Performance Racing – Four Love (Sean Allardice); Division 1 PHS – Alacrity (Matt Percy); IRC Division 2 – Corum (Geoff Anderson). 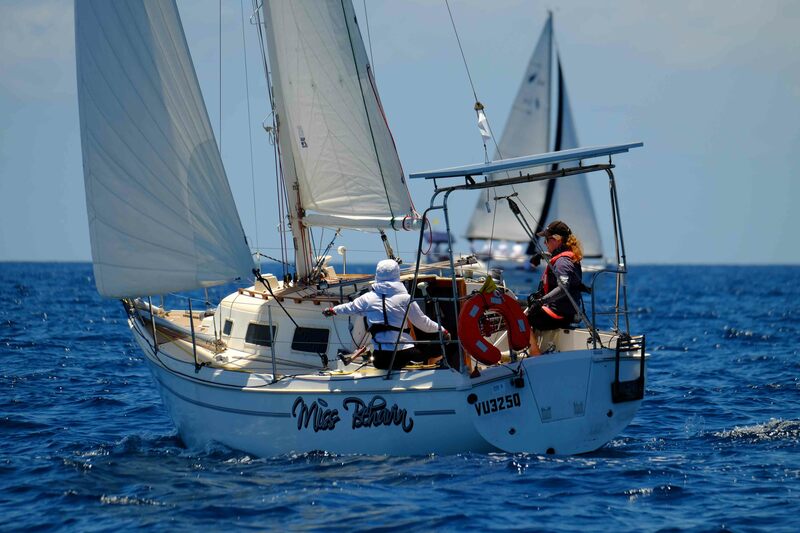 Congratulations to Alacrity, skippered by Matthew Percy who was awarded the Pittwater to Paradise perpetual trophy for the highest total score across all three events.